Why Am I Not Ranking Well? It’s a tough question to pin down but after the hundreds of cases I’ve looked at, almost every time the reason falls into one of the following 12 categories which I’ve ranked below from most likely to least likely. Disclaimer: this article is meant to help customers of our business listing service, Local Listing Ninja, troubleshoot their ranking issues. If you’re not a customer, feel free to read this article but also read the other issues at the bottom of the article as well. If you are a Local Listing Ninja customer, the issues at the bottom would have been resolved by us, so you can ignore them. If you don’t have a website, you can’t rank on Google hardly at all. Google ranks websites. If you don’t have a website, they can’t rank you. This is fairly straightforward and simple. 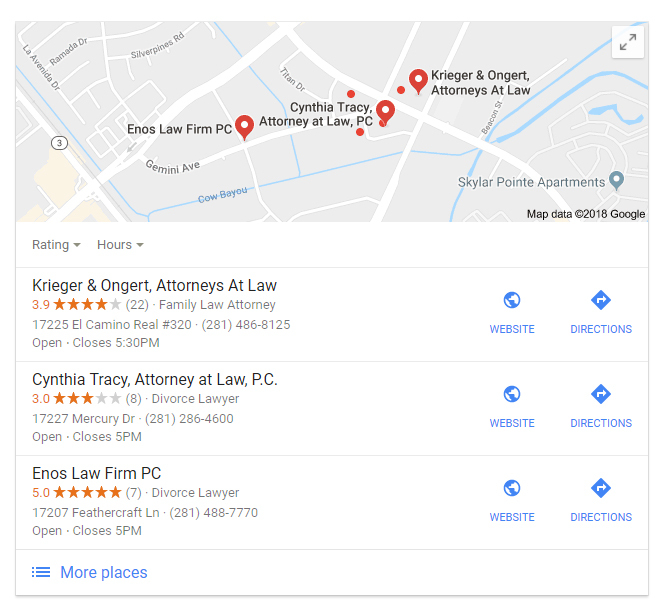 If you don’t have a Google My Business page, you have a better chance at ranking than if you didn’t have a website but it’s still not a very good chance. You need a Google My Business page. 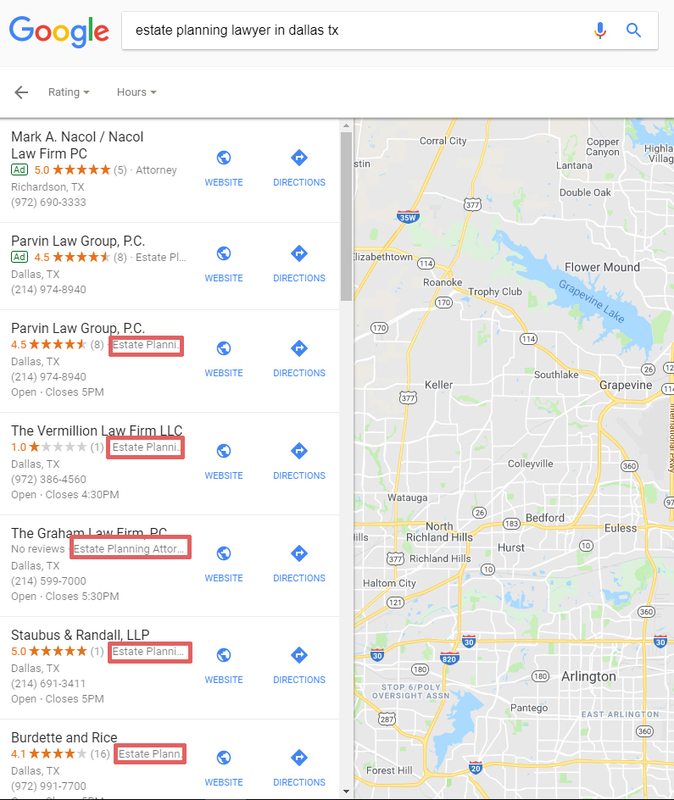 A Google My Business page is what ranks in the “Local Pack” (also called the “Map Pack”) on Google search results. The “Local Pack” is the 1st three results you see after Google’ing something local. It will have three different companies, all with their business information (name, address, phone, website) as well as reviews and directions. If you don’t have a Google My Business page you can’t rank in this pack at all. If you’re not physically located in city you want to rank in, it is highly unlikely you will rank in this city. Google ranks businesses physically in a city higher for that city than businesses outside of it. It’s just how Google runs their ship. I have encountered businesses 200-300 feet from a city line and they still will only rank for their own city, not the city that they’re 200+ feet from. An exception would typically only occur IF the city you’re not in but close to doesn’t have a lot of competition in your industry. For example if you’re a plumber and you’re a few miles from “Musk Town” and they only have 2 or 3 plumbers. Then, you may have a chance to get in there and rank well. If there’s only 3-5 competitors in the city you’re wanting rank in that you’re outside of, you may have a shot. I have seen this happen. But it really can’t be controlled and you shouldn’t expect it or depend on it. This naturally brings up the question, “How does Google determine where you are located? They determine that by whatever city your Google My Business page says you’re in. Now, I’ve been talking about ranking in the “Local Pack”. You can still rank in website search results if you’ve optimized your website but the website search results are below the Local Pack and are difficult to rank in if you’re trying to rank for more than 1 city. In this case, the city you’re located in and another city on top of that. Whenever I troubleshoot a client, this is the 4th thing I check for. If their website is less than a year old, I typically stop right there. Google makes you “prove” yourself before they will rank you. If they didn’t, brand new websites people put up overnight would outrank ones that have been there for years. While this may seem like it would be okay, spammers would really abuse this tactic. They would put up a spam website and as soon as Google removed it, they would just put up another. So, you are unintentionally caught in this spam trap. And unfortunately, there’s nothing you can do about it really except optimize your website and hope Google’s algorithm lets you out sooner, rather than later. As time goes on, Google takes your training wheels off one at a time until finally you aren’t being suppressed at all and are ranking as you should be. But all you can really do is optimize yourself like I mentioned above and sit and wait. This is less of an issue in smaller locations where there is less competition but if affects you all the same. Much like above, if your GMB page isn’t old enough, you’ll be suppressed for awhile. It is my belief you can speed this time up by signing up for business listings (also called “citations”) but that’s just an educated calculation on my part with some evidence to back it up but nothing 100% definitive. My advice is to get your business listings done as quickly as possible and again, it becomes a waiting game. “Duplicate Content” is simply content copied from other websites on the internet. Google does not like duplicate content on your website. You find content from another website you really like and copy and paste it into your website, changing a few words here and there. If you have a website company set up your website and they use “stock content” on your pages that they use for every client. If your website has any duplicate content, that’s a major red flag and very likely is holding back your ranking. The easiest way to deal with duplicate content is just to rewrite it. The next most likely issue is that your website homepage isn’t optimized for SEO. Your website should have content on the homepage about what you do and where you do it. “What you do” would be defined as the services you provide. “Where you do it” would be defined as your service area. As an example, if you’re a plumber you should be talking about the fact that you’re a plumber on your homepage somewhere and using the keyword “plumber” in a few places. Having other keywords on the homepage that are similar such a “plumbing”, “plumbing company”, etc. would be helpful also. Google doesn’t like too many keywords (“plumber”, “plumbing”, “plumbing company”) in your content and considers too much of it as “keyword stuffing” which could get you penalized. Just write and include keywords in your homepage naturally and you’ll be fine. To take our example further, if you’re the plumber, you should be talking about the area you serve as a plumber. You want to mention the city you’re located in a few times on your homepage. You could also mention other cities you serve but don’t overdo that either. Putting the city you serve too many times or putting too many cities could also trigger a “keyword stuffing” penalty as well. Again, the best rule of thumb is to be natural in your writing. Remember, humans will be reading this. Your homepage should have some text welcoming your customer to your website, telling them about your company, asking them to call you, etc. Put these keywords in this text (also called “content”). You’ll also want to include your keywords in your title tag. Here’s a great article on what Title Tags are and how to optimize them. Make sure your Google My Business (GMB) category is correct. I see this most often with lawyers. Their category is “Law Firm” or “Laywer” instead of “Family Law Attorney” or “Bankruptcy Attorney”. Check your category to make sure it’s correct. Check your category to make sure it’s specific enough. You would be surprised at just how much of a ranking jump this can cause. If you don’t know what your category should be, or you have many categories you could use, it’s easy to figure out what your category should be for ranking purposes by simply Googling your main keyword in a big city. As you can see, you get a sample (in red) of what your category might be. And that shows you the exact category you should be using. We use a big city because that’s where the best SEO is done because the stakes are highers. And you can bet that they got their categories correct. Always make sure you have the correct category and make sure it’s specific enough. Use the above method at the very least to double check yourself. Many times I have local businesses that tell me they aren’t ranking well but when I take a look at their rankings, it’s not that they’ve done a poor job with their SEO, it’s just that their industry is really competitive. Meaning either their city is huge (like Houston, Denver, Los Angeles, New York, etc.) or their industry is just really competitive in their city (30’ish + competitors or so). It’s not that that these local businesses are doing something wrong, it’s just that their competition is really stiff. And it’s not that these local businesses aren’t ranking, it’s just that they’re not ranking where they would like to be. If you’re facing this type of competition, you’re probably going to have to hire a professional SEO company to handle your SEO for you. Doing it yourself probably won’t cut it for the results you’re looking for (ie 1st page placement). But if you wanted to take a shot at it, I would suggest reading up on what you have to do to rank well on Google. I’m going to guess though that your time is better spent on your business vs spending time learning a whole new skill set. Again, I encourage you to just hire this out. This is rare but I’ll be talking to a local business telling me they’re not ranking well and I’ll check and they’re checking the wrong keywords. For example, I might have a lawyer telling me he doesn’t rank well for “Lawyer”. Well, yeah, not too many people are going to rank well for “Lawyer” because there are so many lawyers in a given location. And if you’re a lawyer, you don’t want to rank well for “Lawyer” anyway. You want to rank well for your specific type of law, like “Estate Planning Lawyer” or “Personal Injury Attorney”. So make sure you’re Googling the right keywords before you determine you’re not ranking well. A good rule of thumb is if you Google a keyword and you’re not somewhat familiar with the companies who come up in the search results, that’s probably not the right keyword for you. If it was, you would probably see you competitors up there that you are familiar with. Or if you Google a keyword and the wrong type of businesses are showing up, again, that’s probably not the right keyword for you. 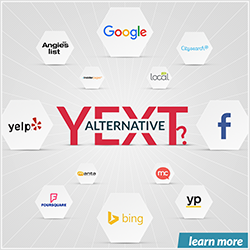 Make sure you’re Googling the keywords your clients would use to look for you. This is also rare, but if you’re trying to rank for hundreds of keywords, especially keywords that are a little outside of your category, you probably won’t be ranking well for them. For example, I had a chiropractor who was ranking well for “chiropractor” but also wanted to rank well for “auto accident attorneys” because auto accidents were a big money make for them. Google is smart enough to figure out they’re not an auto accident attorney and won’t rank them for that at all. Another example would be a bed and breakfast I spoke with. They wanted to rank well for “event space” and “hotel” in their area. This example is a little different because the keywords are closer to what they do. The only problem is they’re facing competition in their area where all these companies do is host event spaces or all they are is a hotel. It will be tough to beat out these competitors because they are focusing all of their SEO power on “event spaces” or “hotels” while this particular B&B is splitting their SEO “power” by trying to rank for all 3. The same is true for general practice lawyers. I’ve had a few lawyers that want to rank for everything under the sun because they do it all. That’s fine. The only issue is that if they want to rank well for “bankruptcy” they’re fighting bankruptcy attorneys on Google who are solely optimizing for “bankruptcy attorney”. 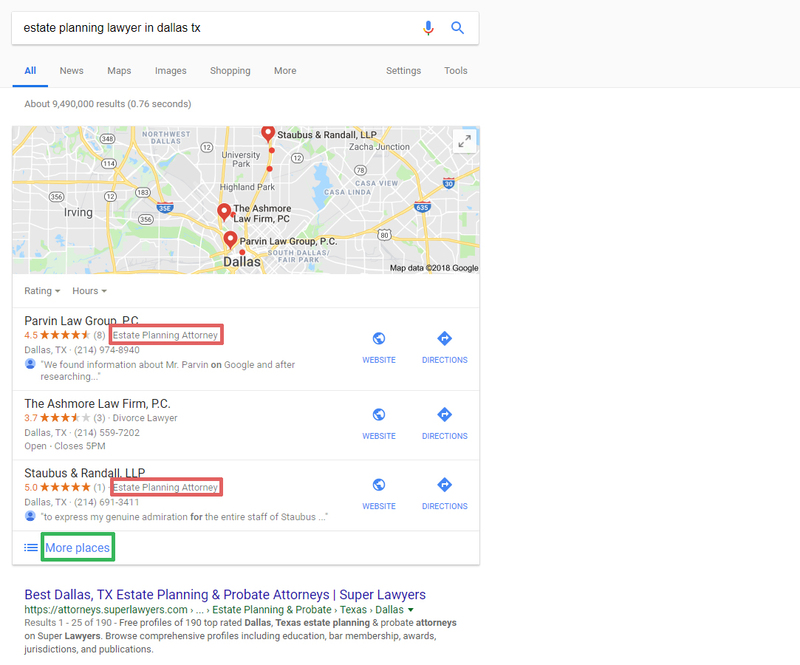 If they also want to rank well for “personal injury” they’re facing attorneys who are focusing 100% of their SEO on “personal injury lawyers”. You can’t split your SEO and be successful. You need to focus on one primary keyword and hone in on it. Now, with that being said, you should still try to rank for secondary keywords. Like if you were a chiropractor, you still want to try to rank for “back pain”, “neck pain”, etc. by creating and optimizing pages on your website for them. But these aren’t primary keywords. Hardly anyone tries to rank just for “back pain” or “neck pain” so you’re on a level playing field. But don’t expect to rank for “medical doctor” when that is a primary keyword for a medical doctor. And last but not least, SEO simply takes time. The most annoying troubleshooting issue is time. Mostly because you can’t do anything about it. Google takes time. SEO takes time. If you can’t identify your issue, it may be a factor of time. Even if your website is a year old and your Google My Business page is 1.5 years or older, it still may take more time. The difficult part is figuring out if you actually have an issue or not, or if it’s just a factor of time. And that’s where it can get tricky. You could waste a whole year thinking it’s just time while there could be a major issue with your ranking. Conversely, you could tear your website apart looking for an issue (and your ranking plummets) when it’s just a time issue. It’s difficult to deal with and difficult to troubleshoot, but there are times when SEO just takes…time. This isn’t as much of an issue anymore but I still look for it. Years back, if you had more than one Google My Business page (or a “duplicate”) it would majorly affect your ranking. These days, duplicates seem to be much less of an issue. It’s rare to find one and even when I do, it doesn’t seem to be affecting ranking much. But I always clean them up just in case. In order to find your duplicates, just go to Google Maps and type in your name and see if there is more than one result. Then type in your address and scroll around, looking for any other extra businesses near you that might be a duplicate. I would also check old business names and old addresses as well. If you find any, follow the directions in this article to speak with Google. If you have conflicting information for your business on the internet (different names, addresses, phones, websites etc.) then this could be causing a ranking issue with Google. Typically this happens when you have changed names, moved, changed a phone or a website and the information doesn’t get updated. You want to have one uniform name, address, phone, and website across the internet. This helps with your Google ranking. In order to figure out if you have incorrect information out there on the internet just Google your business and look around. I would also Google your old information if you have any as well. So, when it comes to ranking issues, this is not an exhaustive list by any means. But it is by far the most common issues I find.